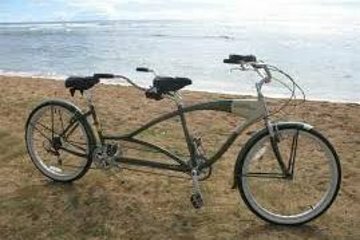 The staff was very friendly and helpful however the yellow Kulana Lua single-speed Walmart-brand tandem was in a very poor condition. If I didn't know how to fix bikes, we wouldn't have gone very far. The shop employees let me borrow their tools so that i can set up and tune up the bike. The bike was very rusty and later that day i had to stop by another bike shop to borrow lubricant for the chain. Overall we had a great time but renter be ware! Stafff very friendly and helpful. Fort Lauderdale beach ideal for a bike ride and the tandem was really fun way to experience it !